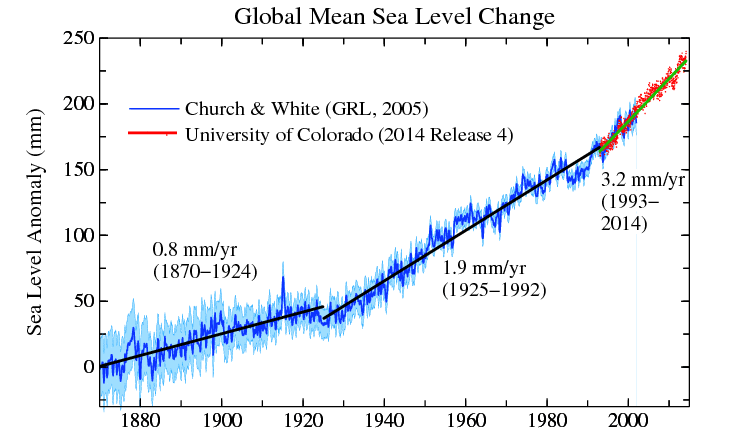 Paul Beckwith: Can global sea level rise 7 meters by 2070? A point to consider is that SLR is more likely to pulse than be exponential. The exponential studies give us an idea where things might be headed. But it’s more likely to progress through a process of destabilization, exponential increase, massive melt pulse, then pause before hitting another similar ramp. I didn’t include this commentary as I thought we’d let the Hansen Paper stand on its own merits. Good points by Paul here, though. If we hit a pure exponential or if the size of the destabilization is large enough then, yeah. The potentials can hit pretty high. My opinion is still in the range of 6-9 feet by end century. Could certainly be worse, though. Six to nine feet. Such a SLR would wipe out South Florida as a place to live or even visit, and make a mockery of New Orleans’ new 100-year-hurricane-capable Federal Levee System. Yep. We might have three feet if we can get off fossil fuels quick enough. I’m somewhat doubtful given the current science coming in on glacier stability, though. In any case, cessation of burning now is still a far better future than the alternative. Humans have dealt with sea level rise before. It’s a huge blow to everything. But we might be able to manage if we plan and respond well. What we’ve not dealt with is a terribly stormy and geologically rapid transition to a hothouse Canfield Ocean world. Nor do we want to. Well to me it looks like we’ll see more than 9 feet by century’s end. Even with the 1-meter IPCC SLR, Venice will be 4 meters BSL because down there, the land is expected to subside by 3 meters or 10 feet.. I read an article some years back (I can’t find it) written by one of the Udalls, in which he suggested that the only realistic thing to do about preserving any of New Orleans would be to turn the French Quarter into a walled island. Now that’s to the point. I meant Venice, LA. Venice, Italy will probably be even worse off; it frequently gets 2-foot floods in St Mark’s Square now. @Miep, I have seen studies that even with a stable-state sea-level, New Orleans by 2050 or 2100 at the latest would be a walled polder surrounded by an enlarged Gulf of Mexico. As for walling off the French Quarter, do you recall the study suggesting landfilling within the walls to elevate the neighborhood? From this, a ‘thermal stress alert’ – Aug – Nov 2015. Outstanding article. I think of all the climate bloggers out there Robert’s synopsis, as usual, will be best. I made a contribution to Robert and would encourage others to do the same – he really is doing an amazing job! Cheers, Anthony. I wanted to thank you so much for your generosity. Most of the consultations I give are pro-bono 😉 In any case, glad I could help you! Warmest regards and I promise to keep doing my best for you guys! Robert how do I contact you directly or can you message my account here? OK Thanks! go ahead and delete it. Thanks for another stunningly good treatment of a complex paper. I’m disappointed that some of Hansen’s colleagues seem to be trying to pour cold water on this (Trenberth, Schmidt…). NYT’s Revkin has a typically poohpoohing piece out on it. “if the IPCC most-likely value proves to be in error, the future rate of rise is more-likely to be higher rather than lower. In this as in many aspects of the climate-change problem, the distribution of possible impacts of a warming world is skewed, with a long tail on the costly side. This in turn means that focusing on the most-likely rise from the IPCC rather than the full distribution will tend to underestimate the full challenges we face, rather than overestimating them. Thank goodness we have folks like Hansen out there. Otherwise, we’d be struggling through this world where IPCC’s conservative values give more excuse for higher carbon emissions. That’s the real issue here. You under-estimate the impacts, the policy moves too slow and everyone risks taking a huge bite in the rear in a few years. You then have this litany of ‘worse than expected’ impacts. Impacts we could have prevented if we were more aggressive. That’s not the side of this crisis I want to be on. You really don’t want to fiddle with climate change. 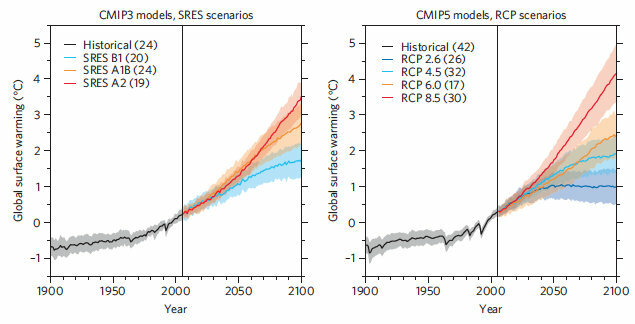 If IPCC is right on SLR, which I find to be unlikely due to the fact that we don’t even have a dynamic ice sheet model that can produce good melt rates, and due to the fact that hitting 1-2 C warming in Paleoclimate usually results in rapid destabilization and Heinrich Events, then what harm does it do to transition faster. We get a cleaner world that runs on renewable energy sources that become ever cheaper. For my part, I’d call that a bonus. It’s all about risk assessment. If the Hansen paper can be shown to present a credible risk of relatively abrupt sea level rise, that scenario should be what we plan for, just as we put on our seat belts every time we get in the car, even though there is a low probability of a crash on any particular trip. Pretty much everywhere else in life, we don’t prepare for the most likely outcomes; we prepare for the unlikely but reasonably possible outcomes that would be catastrophic if not prepared for. That’s what insurance is all about, for Pete’s sake. Why isn’t this stunningly obvious principle, which we apply nearly everywhere else, not what we are applying in this, the very most important of impacts to prepare for!? Because it means higher taxes for the rich and corporations. Those sociopaths will protect their gravy train by definition. Political “leadership” is increasingly sociopathic, thus guaranteeing worst case BAU. It has been 2 years since this article, and all incoming date is “Worse than expected” by a mile. Not exactly correct. Some leadership is definitely terrible. But some leadership is moving in the right direction. Worth noting that most countries in the world other than Syria and the U.S. have approved the Paris Climate summit. Thjs is definitely movement off the BAU pathway. Of course, Trump and his ilk are no cause for any inspiration whatsoever. But states like California and countries like China are. wili, yes agreed it’s all about risk assessment. The trouble with the seat belt analogy though, is that putting on a seat beat costs nothing but a couple of seconds. Removing fossil fuels from the possible sources of energy costs much more. Have to say I agree RE risk assessment. For my part, the risk is more than credible. I’d call it likely if we keep burning fossil fuels and possible (to a lesser extent) even if we stop soon. And the seat belt analogy is an excellent one. We need seat belts for our climate and energy policies. We don’t have them currently. So besides being called ‘speculative’ (how can models of a very uncertain future be anything but? ), the paper has been criticized for being (when it’s not being ‘speculative’) unoriginal. What would you say is the newest significant thing here? I had heard of ocean stratification before, but I hadn’t seen it connected to dynamics leading to slr in quite this way before–so that was relatively new to me. But then I don’t read absolutely every paper that comes out on the subject, so maybe this is already well worn territory in the science. 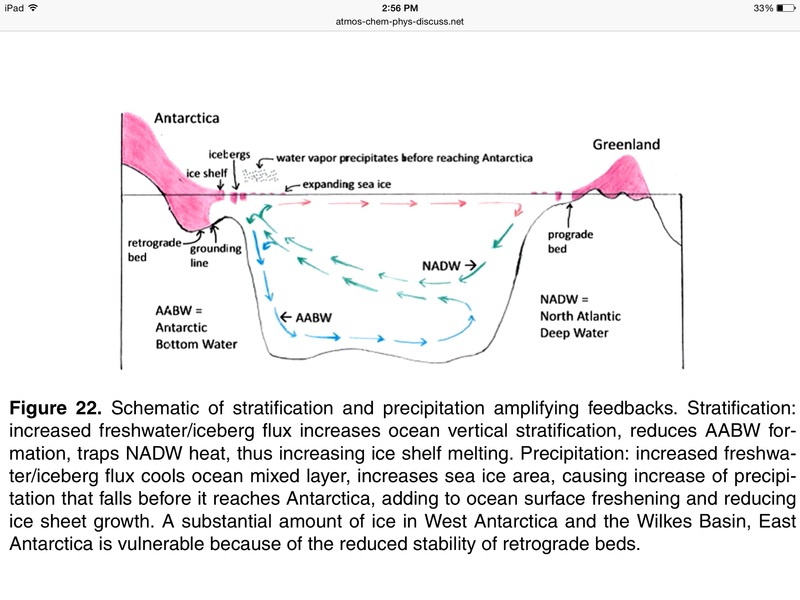 Well, for what it’s worth, I’ve written a few of my own ‘speculative pieces’ here about how ocean stratification and the fresh water wedge can melt the under bellies of glaciers. My work is not science directly — more observational threat analysis. So Hansen and others are more than welcome to incorporate it into science without a mention directly to me. I haven’t seen much in the way of science on that particular bit prior to this one and I do read a lot of papers. The word ‘unoriginal’ in my opinion is thus more an ad hominen attack. As is the word speculative. IPCC is equally speculative that their own slow rates of sea level rise will bear out. They extrapolate based on a narrow consensus and a not fully informed by the physical mechanisms at play understanding of what’s going on with the great land ice sheets. Our understanding grows, but so does the human heat forcing and the rate of destabilization. My view of their partially informed consensus extrapolations are that they are potentially too conservative. They’ve shifted a bit closer to a more true consensus of sea level rise estimates. But the real range, if a true consensus was used would be 3-9 or possibly 3-12 feet as many scientists see more sea level rise and not less. Yeah, rather than hurling these slanders, it would be much more useful for the scientific community and for the world for some of these other experts to point out exactly where they think the ‘speculation’ is likely to have it wrong. What is really unoriginal is pointing out that these findings are outside of what the IPCC concluded, as, for example, Schmidt does. Well, duh. They themselves point this out. That’s kind of the point of the paper. That says nothing about whether it is good science or not. The IPCC guys have gotten defensive. They’re in the middle and they take hits from all sides. I try to give them slack unless they get too hard edged — as they did with Shakhova and Simeletov (note pretty much all science on the issue of methane has now been silenced by the adversarial nature of the mainstream science to that particular outlier, a sad outcome for another risk related issue). A few years ago, I heard Jim Hansen speak. It was a small group in a church. You may know that he has grandchildren that he loves dearly. During the talk, he mentioned the kids and choked back tears. It broke my heart. This guy knows what he’s talking about but he’s being ignored. He will go down in history as the climate change “Paul Revere” but unlike the Colonists, nobody listened to him. We are living in the Age of Stupid. As always, thank you, Robert. Great work. I agree. Climate change Paul Revere. The man has heart and a genius intellect too. We’d be immensely ignorant not to listen to this amazing combination of compassion and foresight wrapped together in one man. Wake up, people! This is our imminent future! I will be posting another update early next week. As predicted in my previous post, we have hit or diverged below the 2014 line in most of the major measures now. With two and a half more days left to this week, I’m confident more of the laggard measures will follow suit. The observed and predicted influx of heat into the Pacific side (both air and water) has had and continues to have serious impacts on sea ice integrity. 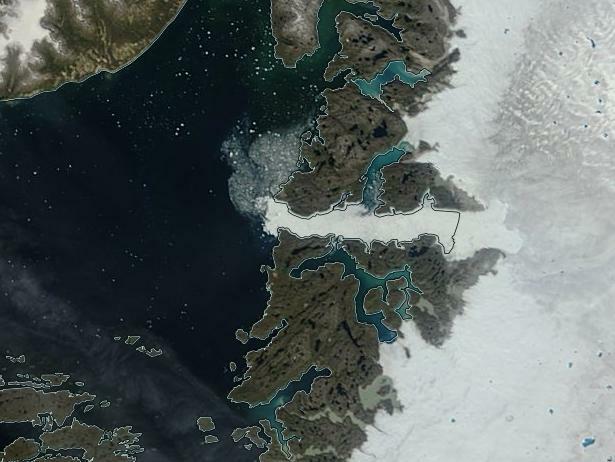 The ESS is particularly hobbled with most of the ice now melted or in a rapidly melting state. Laptev has shown significant losses due to the action of the persistent high. This will likely intensify as the high moves to the Siberian side. Storms and heat entering the Beaufort and CAA are knocking the thick ice off grounding lines north of the CAA and so we see a widening polynya there. Those are a few observations that I’ll expand on in my Monday or Tuesday sea ice update. Best Nuwan and tell Goddard he’s a chump. Shared on fb, linked and quoted on POForums and neven’s Arctic Sea Ice Forums, and linked at RealClimate. Spread the word, folks; keep spreadin’ the word. Well I finally read the post , (I spread it around first) . I’ve been reading these observations for sometime now, This is your best one yet. Any layman can understand this. And that is your gift. Well done young sky walker. You got me grinning from ear to ear with that one, Bob. I put a boatload of work into this piece over the past few days. Not the least of which was reading the Hansen Paper as a kind of crash course. Reminded me of the work we used to do at Janes. There are thousands of bones from hundreds of animals all piled in what was once a bend in river . Think about a flood that killed all these animals In days. And the bodies all piled up on a sand bar as the flood receded. We have no idea just how big storms in record were, but trust me your singles on your roof won’t make the cut. Hi Robert, thank you for this thorough discussion of Dr. Hansen’s paper. I’ve been reading here for about 2 months and can’t thank you enough for what you and the other posters here do to contribute to the “laymen’s” knowledge re: climate change. I’ve been wanting to donate for the past 2 days and each time paypal, after giving them all the information, takes me to a page that essentially says that the payment did not go thru and requests that I go back to the original page(yours) and begin all over. Which I have done without success. I noted upthread that someone else was able to make a contribution. Any ideas re: why my transactions are not going thru? If you are in another country sometimes trying to donate through a blog setup can hang up. If Robert can give you his PayPal address you should be able to do it directly. Hmm. That would do it. I think she’ll have to have an account to send it direct. But they are easier about accounts for sending money than receiving money. Thanks for the kind thoughts, Maria. I’m very glad we’ve all been able to help RE understanding climate change. There’s quite a lot of confusion over the issue to be sure and any part we can play to help make it easier to understand is good work, in my view. So thanks again. RE PayPal. … I honestly don’t know? Perhaps try again on a different computer? Also, do you actually have a PayPal account? I don’t know what happens when you try to use PayPal without a paypal account. They run you through verification processes when you set one up. Thanks Robert and Miep. I’m in the USA and I don’t have a paypal acct— generally they let you make donations without one. I’ll try setting one up and see how that goes…. Okay, only other suggestion I have is whether you’re trying to do this from a mobile device and Robert doesn’t have mobile devices enabled. I ran into trouble with that recently. Nope, Miep. Via my laptop. I appreciate your efforts to troubleshoot. I’ll keep you posted. LOL, Robert. Or perhaps a gallon of water as collateral 😉 I established an account and that seems to have resolved the issue. You should be seeing the payment soon? Great. “If you don’t toot your own horn , no one else will”. You seem to have advanced that idea. I tend to take the long view. Doing good work is its own reward and it’s too much goddamn work tooting my own horn (boring too). No, if one has goal , then one uses all their assents. Period. All guns are certainly on line for this fight, as you can probably tell. The choice between research and self promo is a pretty easy one to make. 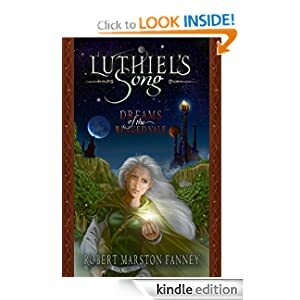 Robert gets a big “toot” from me – this article was exceptional and i’ll be spreading it around (like i do many of your posts). You are a superb researcher Robert. Cheers, Tom and best wishes. I really appreciate the kind words. Put a lot of elbow grease into this one so it’s good to know it worked out. Got a lot more work to do, though. Is the vertical scale on that Greenland topographic map exaggerated? The mountains seem too high to be possible. It’s a not to scale representation in the vertical. So height and depth are exaggerated for visual effect. Pretty common usage actually. ‘ s greatest map of the modern world. More from Trenberth. Seems he is really going after Hansen. 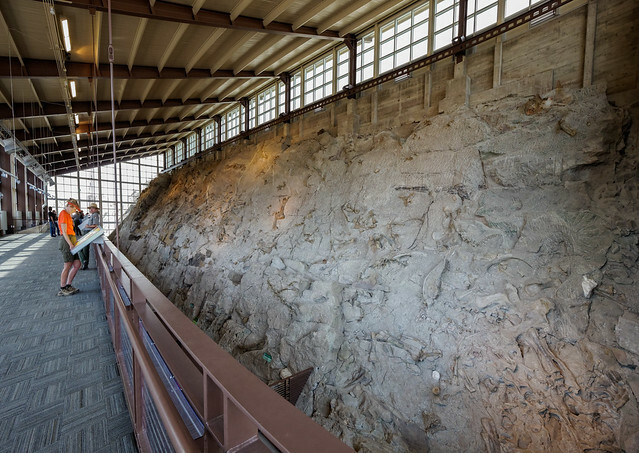 Certainly seems to discount the value of Paleo evidence and also the model used by Hansen. In some regards, similar to his attitude towards Francis’s research – see link below. My understanding was that IPCC dumped down on SLR – excluding a lot of statistical based research that pointed to possibility of higher sea level rise because their ‘go to’ climate models could not simulate that type of increase. In that case, they concluded that it must be the statistical models that are at fault or dubious and not their models and modellers (Trenberth is a part of the latter community). The overall similarity in the treatment by these scientists of arctic specialists and methane issue is also striking. They bet a lot on a few models, and do a lot of PR work to gloss over potential holes. Sad to see these kinds of fractures. But modern science is not immune to it. We know our knowledge isn’t perfect. But we have a good idea of the trend and the potential range. So why not look at the broader context of that range of risk and include it? I found Trenberth’s views on using Paleo evidence very interesting, essentially inferring that because of uncertainty over estimating time/dates scales involved and also using proxy measures for climate variables of interest implies that using Paleo evidence is quite suspect. I do not think Schmidt and Alley, for example, would agree with that proposition. Also it would bring into question more generally the whole debate about climate sensitivity inferred from the Paleo record. I find the paleoclimate data to be much clearer and a good back-check for any new report that comes out. In my view, folks ignore the paleoclimate data at risk of ending up dreadfully wrong. A comment below that post says, “Where sea levels will end up is already pretty straightforward, as set out by Dutton et al’s 2015 review Sea-level rise due to polar ice-sheet mass lossduring past warm periods; with atmospheric CO2 at Pliocene-like levels, we must expect sea levels to get there also, ie 6-20 metres above present. So I wouldn’t say he’s discounting paleo completely (perhaps just the dynamics that RS talks about — which is the only place I’ve ever read about them). Arguing about whether 3-5m is likely this century while agreeing with 6-20m over a few centuries seems to be missing the point. RE Mikkel’s comment. It does seem to me that Trenberth is a bit more moderate regarding treatment of Hansen’s work than he has been with Dr. Francis, for example. And he doesn’t close the door entirely to the notion that SLR may runaway, just that this is not his view. I’d call that a pretty honest and worthy statement overall. I am interested into what happened to the centre of rotation Pole shift due to changes in surface mass distribution caused by glacier/land ice melt research. Will also shift equatorial bulge and cause tectonic/geological and Volcanic activity. Another excellent post Robert, and thank you for the time that this must have required. One observation and several questions: The global sea temp graph, above the Superstorm Sandy photo, shows the eastern Pacific WITHOUT the super heated blobs. I do hope that is in our future. Paul Beckwith posted a video on this report where he shared that the superstorms would be packing 30 meter waves. If we were to see a major uptick in these storms, is their ability to ‘mix’ ocean waters negligible? In other words, ocean stratification will take place regardless and in spite of what these storms can do? In the process of the stratifications, how do the oceans planktons fair? They’re already taking it on the chin, if I remember right, down by 40%. And that’s where we get most of our oxygen, not to mention that they’re a food basic. 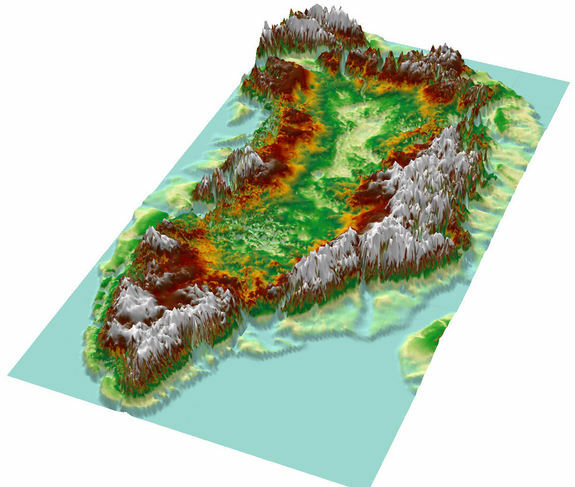 The Greenland topography image is very interesting. What is happening with the melt ponds? Those are happening above the interior basin, right? If so, do they drain down through the depths of the ice cap? If so, that water is going to build up there until it finds a breach, and it will have some pressure to it, and probably some heat as well, right? This dynamic will also provide some rebound effect on the land mass I assume. I put together an animation of Null School’s Pacific SSTAs from 2015 Jan-July 23rd. Wish I could do an overlay of the Jet Stream winds at 250 hPa. Love to see how ocean heat and the jet stream is interacting/reinforcing particularly in relation to NE Pacific Blob anomaly. 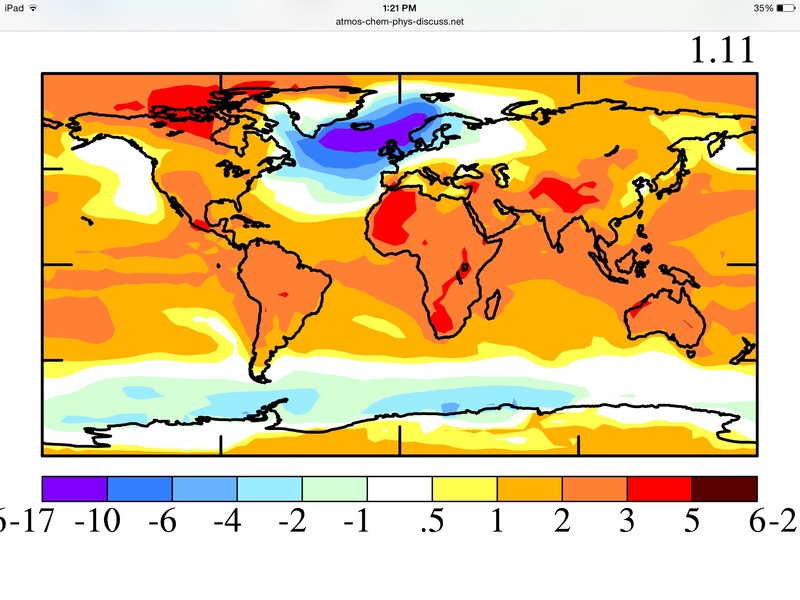 Also around May-June seems like a pulses of heat start telegraphing from Japan and little further south to the Blob and then up into the Arctic. Starting CO2 emissions down on a quick glide slope of 6% a year would challenge the fossil fuel energy giants like never before. We would in fact be telling them that we are finished with their energy source and making the change in an emergency manner. Given how far Global Warming has progressed, 6% seems rational enough. We can all hear the screams of horror from the lobbyist army camped out around Capital Hill. The Fossil Fuel Industry has had it all it’s own way for as long as any of us can remember. Gutting their golden Goose would be a shocking event. Though why big Fossil Fuel Companies can’t make the switch to developing and producing the new energy sources we need is beyond me! Perhaps, it would leave the quarterly profit reports in bad shape for a few years before their new technologies came on line and the cash flow kicked positive. Why are we told we can’t switch, when we know we can? Stupidity? Greed? Ignorance? Suicide Wish? Death Cult? God only knows. As I have grown older, I have seen America turn from a great “can do country” to a nation where all we hear is “can’t do”. Our forefathers would be disgusted with the lack of vision and initiative. Indeed James, I can see the next President of the United States being put into a position of having to declare Martial Law, just to get things moving, such as carbon reduction and forcing the Yucca Mountain nuke repository into use, as we decommission and move our low lying, flood threatened nuke plants. We have effectively ‘kicked this can’ down the road far enough, that our options now range from bad to worse. Very well said, James. Have to say that I agree wholeheartedly with your assessment. Firstly, there is an assumption that huge quantities of “known reserves” will be dug up, sold on and burnt. This is what Trillions of dollars worth of bits of paper derive their value from. Acknowledging, publicly that these must be left in the ground would make the GFC look like a cakewalk. Secondly the FF czars know they only have so long before they will be banned from pulling the stuff out of the ground. They are pushing forward projects as fast as possible in order to “build up” the value of their companies attract maximum investor funds before they retire to Bermuda, leaving behind worthless credit notes [a few techno-utopians want to retire to a spaceship, leaving behind a worthless plannet]. It’s a bit like stealing everything from the office on your way out. The company directors and the banks that fund them are doing this because their job description (and legislated mandate) is “create the highest possible returns for our shareholders and investors”. They are not acting in a deliberately evil way, just bureaucratically indifferent while following society’s orders. Brilliant post! Yes, you have gotten right to the heart of the matter. Something I overlooked when brainstorming my post. Of course the whole financial system is hostage to the wealth attached to fossil fuel reserves. In a sense, that money and obligations are already in “full play” inside the casino financial economy. Bank books, hedge funds and the derivatives markets are all HOSTAGE to the reserves of the fossil fuel companies. Thus, change is impossible. The financial system is only hostage to stranded assets if they are unwound in the form of a bubble type crash and if that bubble bursting crashes the rest of the system. The current system is less vulnerable due to deleveraging. Investor flight isn’t so bad as long as investors are confident enough to invest in something else. In this case, capital flight is going to renewables. Of course the sectors and nations that are not able to decouple from fossil fuels will suffer the resource curse as the asset they’ve be the farm on goes down. Of course, this was preventable even ten years ago with proper planning. Now, some sectors and some countries will probably take a hard hit unless they are quite nimble. For a decent allegory, look at the economy of the South and how it fared post civil war. That’s what will happen to sectors that are unable to decouple from fossil fuels. The sectors that already have a large renewable foundation, on the other hand, will thrive. Interesting, that’s the one fact that gives me some hope. Every investor hopes to get out the door before the building collapses, so focusing on stranded assets seems like the key to discouraging investment in fossil fuel enterprises and redirecting it toward activities that will prosper in a low- or no-carbon future. Also, if we focus on stranded assets now, it provides more of an organized walk toward the door than a panicked stampeed. I think we’re starting to see that now. If you’d invested in some coal companies 4 years ago you’d have lost well over 90% of your cash currently. A ray of hope in these dark times to see polluters really taking a hit. It’s malinvestment. People in those assets are going to lose money. Capital flight is the obvious response. This creates jolts, but not as bad as if the flight occurs all on one day or in one year. We’re in a ten to twenty year trend that started a few years ago. It’s ramping up now. And there’s going to be a huge shift of wealth and power involved. Contrary to what some are saying, this is not the end of the world. It’s just the end of business as usual. And that’s a good thing. Robert, thank you. I truly appreciate the work you have done for us. I have a lot of nasty things that I want to say to the oft quoted scientists that have discredited this paper but you have shown how to take the high road and provide true analysis. Great work. Don’t need a weatherman to know which way the wind blows..
I’ve been high and I’ve been low – don’t know which way to go. I like that. When I was a young person in the 1980’s I used to listen to punk rock radio in west Los Angeles. There was a cut they were fond of that entirely constituted some guy howling “Work” over and over again and then at the end “Die.” Same basic concept. The American way of Life. Then Rinse & Repeat. We’ve lost all concept of, and connection to, The Earth – Our Earth. Bob Dylan out lived his myth. What a hoot. . We’ll need some of his blood for our experiments. Hard rain’s gonna fall. Can’t say he didn’t warn us. My father started warning me about what was coming down fifty years ago. We live in interesting times. I miss boredom. You can do a lot with boredom. Bob grows on me more and with the years. The sky, too, is folding under you. The date: July 25, 1965. The event: the Newport Folk Festival. Backed by guitarist Al Cooper and other members of the Paul Butterfield Blues band, along with pianist Berry Goldberg, an earnest 24-year-old Bob Dylan took the stage, an uncommon sight hanging from his shoulder: an electric guitar. The rising star had a major surprise planned for the audience, but he had no clue of the controversy he was about to stir. So rigid. Hard to imagine Pete Seeger rampaging around with an axe, though. I like “Positively Fourth Street” a lot. It kind of expresses how I feel about this whole corporate culture. Bloomfield, is as dead as boot. His music will never die. This is the coolest music ever made. Must be the season of witch. Will increased storm activity mix ocean waters as is being claimed is happening in the tropical Western Pacific and around Antartica? @Robert: For further understanding I have a few questions. How much warming would we “need” to produce a -17 K anomaly (is it for 2080? But -17 K is compared to a much higher mean than the 1880s?). Would it really mean seeing snow on Scotlands shores in summer? What would it mean in winter (concerning Europe)? 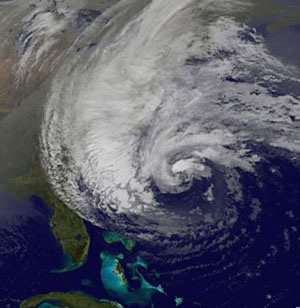 How strong could be the wind gusts during superstorms? mid-summer in central Europe. Thank you in advance. That -17k would represent a reversal of recent polar amplification. One could expect a cross between the Southern Ocean “furious fifties” and hurricane Sandy, or just regular “winter storms” to occur during summer in unusual latitudes. Ocean height data suggests this slowdown is already occurring, with heat building in the Pacific and Indian oceans, and a cold pool forming around Southern Greenland. I don’t know if this is just exaggeration of an existing ocean oscillation, or the start of a runaway trend as described by this paper. It certainly appers that 2012 released a pulse of Greenland meltwater that created the blob and reversed a number of regional climate trends. Everyone play Mike, He was so great. And no one remembers him.. Excellent! Although I do enjoy the Winwood version, too. Those were some good days, even though I had just been drafted into the Army (’72). I was lucky enough to spend the entire 3 years (minus 7 week basic at Ft Knox), in Colorado Springs. Saw a few shows at Red Rocks back then; ZZ Top at The Big Mac in Denver; some group pretending to be Fleetwood Mac in the Springs (forget the venue – was downtown). Anyway, I see we share a similar love for music. Certainly don’t know where I’d be without it. I play these songs so I don’t drive my head into a wall. I hope they do the same thing for you. ….when silence drowns the screams. Needles to say that the UK is at the front line and as such we are already having a taste. A month’s worth of rain fell overnight and another bunch due tomorrow. A series of lows have come and gone over the British isles for the last month and there seems to be no end in sight. The first year that these barrage of lows were obvious in UK was in 2012 with its record wettest summer. Then the winter 2013/14 storms that pounded Wales and southern England followed. The center of this low generating engine seems to be over the pool of cold water coming from Greenland which would match what is described in the paper. Greenland is ramping up for pulse # 2. May be a few years yet. But note the warm water on the west side in Baffin Bay region. Every time I see an anomaly map these days, I can’t help feeling that we in the UK are right in the firing line of Greenland ice melt, and the firing might have already started. Yeah, that’s a rough outcome. But you guys are certainly in the firing line. Winter of 2013-2014 was the first big shot. I suppose the silver lining is that the Scots will make a lot of electricity from wind. That is, if they can build the turbines strong enough. But it will almost certainly get worse. Hopefully we can rapidly transition away from fossil fuels and prevent the very worst of it. Wonderful job summarizing the recent report from Hansen et al, Robert! Many thanks!! Yes, a capital effort to explain what is needed. Though now we change species and become hoarse. Thanks Ryan! I promise to keep doing my best for you guys! Great article – saved me a lot of time and brain ache trying to slog through the paper which I can now dip into at leisure. That sea level rise graph for the 20th century in your article interests me, as it shows actual documented behavior of the Earth system under moderate warming. It looks as though annual rise was 0.8mm at the start of the 20th century, and 3.2mm at the end. So it approximately quadrupled in a century. So with moderate forcing and warming, the doubling rate was 50 years. But we know that the party only really kicked into overdrive in the 1970s in terms of carbon flux, so a shortening of the doubling time to 20 years or less doesn’t look too outlandish if the system responds more strongly to the stronger forcing we have now initiated. Good analysis, Spike. It’s also worth considering that the ramp up to glacial melt at the end of the last ice age didn’t really steepen until we hit about 1 C to 2 C warming. We are in that range now. Somewhat OT: coal, oil, and gas are seeing major capital flight at this time. Huge losses in all the markets. Robert and Spike – when I read the paper I was a bit disappointed they did not get, or at least I do not think they did, Watson’s bias correction post 1993 into that graph as I think it really makes a great deal of sense. “The high release rates of nitrous oxide were remarkable,” added Bettina Weber, who led the investigation. She explained that, while “the methane emissions of cryptogamic covers were negligible on a global scale,” the N20 results only grew more worrying as temperatures hiked. “Generally, we could demonstrate that N20 and CH4 emissions strongly increase from temperatures above 20 degrees Celsius,” Weber said. Ouch is right. NOx bites. Harmful to plants generally as well. That’s a bad 1-2 hit there. Will have to dig more into this one. My general view is you don’t want to mess with amplifying feedbacks and that the pace of human warming adds a whole new dimension to the issue. – High surf warnings for south facing shore of Hawaii Islands due to storm east of New Zealand. This caught my eye as usual storm and fetch surf usually hits the north shore due to energetic weather in Gulf of Alaska. Robert, is there any notable connection with current ocean temp anomalies, the blob ,El Nino, RRR, etc.? EVENT: The National Weather Service has CONTINUED the HIGH SURF ADVISORY for SOUTH FACING SHORES of MAUI COUNTY in effect from 6 a.m., Saturday through 6 a.m., Monday. EFFECTS: A slow moving storm that was located just east of New Zealand earlier this week generated a large south-southwest swell that will build during the next 24 hours. Surf is expected to exceed the south shore advisory level by Saturday morning and remain high into Monday. Why can’t I be there? Looks great! With regard to the generation of strong storm systems due to large temperature differentials, what the relationship to absolute temperatures, ie, more energy in the whole system? Right now, and for quite a time to come, we have large amounts of ice to melt, which will do two things – generate large temperature differentials, but also keep overall air and water temps a lot lower. ( In terms I can appreciate [let me tell you!] when the ice finishes melting, your Scotch on the rocks get warmer a whole lot faster). When that ice becomes less and less, temperature differentials will get less and less. But… the temperatures are really going to shoot up. With higher temperatures, can we expect this pattern of superstorms to continue despite smaller temperature gradients? 1. Large swings in global temperature due to periods of heat build up in the atmosphere and cut off of ocean to atmosphere heat exchange during abrupt melt events. The result would be to load the atmosphere with moisture and wring it out at periodic intervals. 2. The high T and pressure differences that occurring during ice melt episodes provide substantial baroclinic energy for storms. Something that is well outside the context of the Holocene. 3. Even if the atmosphere temporarily cools due to melt pulses inhibiting ocean to atmosphere heat exchange, the energy imbalance at the top of the atmosphere increases. What this means is that during this period, the atmosphere is rapidly accumulating energy, which can go to increasing storm potentials in an unstable atmosphere further. 4. Once the ice melts, however, instability is removed from the system. Temperature differentials between pole and southerly regions become more uniform. There may be extra heat energy in the system but an increasingly stagnant atmosphere and ocean have fewer mechanisms for tapping that potential energy. Strong storms still rage along the equator due to immense heat potentials there. But that is more of an exception than the rule. Essentially, once you melt all the ice, you end up in a stagnant hothouse/Canfield or stratified ocean environment. And the danger of that world is that it is too hot and too toxic for much of the life we see today. Hot cesspool is a good way to think of how things progress once the ice sheets are gone. Also, someone above asked about storms as potential ocean mixers. First, they are no substitute for deep water formation. In the North Atlantic now we have heavy, saltier water plunging all the way to the ocean bottom in a massive current. This plunge is 1,000s of feet and is enough to drive an entire world ocean circulation and top and bottom water mixing. Put fresh water into that flow and you cut off that mixing. Now, even the most powerful of storms only mixes the top layers of the ocean — perhaps at most to 300-500 feet. That kind of mixing is not enough to re-invigorate gas and heat exchange on the global scale such that thermo-haline circulation is replaced. Compared to the great ocean conveyer, these storms would be like ripples on the surface — not providing the mixing and ventalation that was previously generated. Anyone who understands anything about ocean science knows this. You shut down thermo-haline and you end up with a stratified ocean. Cooler fresh water surface and a hot, ugly, deadly ocean bottom. These big fresh water pulses start that process and it’s a very stormy process at first. That is until the ice sheets have melted. Then you’re living in a world of stagnant air and water. Record high temperatures will continue to scorch areas in northwest China’s Xinjiang Uygur Autonomous Region over the next three days, the National Meteorological centre (NMC) said Saturday. Temperatures will rise above 35 degrees Celsius in most areas of Xinjiang and the southern part will see record high temperatures of 44 to 47 degrees, said the NMC. Nicely put together. Thank you. Cheers, Michael. Thanks so much for the kind words. We’re in it for the long haul. Time for a rousing chorus of the Marseillaise methinks. Hi Robert! I have been watching the melt ponds in eastern Greenland this year. I was pretty surprised to be able to see some disappear from one day to the next. So I decided to make a movie of them. Using satellite pics from the NASA Worldview website, this is the look of three weeks in July. The area of the pics is just southeast of Jakobshavn. Each frame is one day. If you watch closely, it is easy to see some of the ponds disappear. That’s really good work, Griffin. The ones disappearing are likely emptying into the ice sheet. A few studies related to ice bridge have been able to use advanced sensors to track the melt pulses down through the ice. The effect is kind of a reverse bubble. Good piece by Jeff Masters. Hawaii is facing a severe coral bleaching event, for the second consecutive year. The oceans are becoming so warm and acidifying so quickly that corals will most likely be gone in the lifetime of young people. A tragic loss that will have profound impacts across the globe. rapid sea level rise seems to depend on Glacial lakes, Greenland perhaps? A Superb article with lots of research done on water issues in the Middle East. This is extremely worth the read. An eye opener. Burning oil to make water to make oil. Saudi Arabia alone burns 1.5m barrels of oil every day to desalinate water, an amount equivalent to the daily oil consumption of Italy. The Yemeni capital is expected to be the first city in the world to run out of economically viable water supplies, potentially by 2017. Again, this is a fantastic read. These people are all in big trouble if we stop burning fossil fuel. What will they have left to trade for food and water? It’s amazing they have agriculture at all. Makes much more sense to import your water in the form of food than grow it yourself when it’s in such short supply. I was left puzzled about the prospect of relying on a non-renewable energy source for such a critical need. No matter what, depletion occurs. And then what? With those huge populations, there is no way to switch energy sources on a dime. And people don’t do well without water. I didn’t realize how tenuous the whole thing is in that region, the scope, scale and proximity to disaster. There’s a thriving mixed economy in many sections of the Middle East. You’d be surprised what they could do without oil. It’s water that’s more important. And they could certainly run desalination on solar. My “on a dime” is more along the thought of if they do nothing until the they can’t power the water desalination with oil. Then time is their enemy. However, reading up on their endeavors, the wealthy middle east states are very aggressive with zero carbon energy expansion (solar etc..). They are not farting around throwing snowballs in their version of congress, or being paid off by Aramaco for a few bucks to back stab their nation (what used to be called treason, but now seems to be considered patriotic?). They are a lot smarter than our media allows us to realize. Odds on for the current El Nino beating 97/98 now? I certainly wouldn’t bet against that. Good catch. That WWB seems to be now developing on earth null school. Will be interesting to see its strength and duration. Continuation of the same WWB that began earlier this month. Kelvin Wave is hitting the peak values we saw in March. Now to see if it ramps higher. Great article. This layperson, just lurking and learning, visits every day. I just tested the raven’s paypal and it worked fine from this distant land. Rainfall records broken in parts of Japan. One location saw 4.5 inches in one hour. The cost of the raw material has been increasing for two years as crops have been hit by drought in Spain, the world’s biggest producer of the oil, and the bacterial disease Xylella fastidiosa, which is destroying trees in Italy. – Remember too that trees do intercept toxic aerosol pollutants which do stress and damage all biota including olive trees, pine, redwoods, avocado — you name it. Heat from global warming or any other cause generally potentiates chemical reactions in the VOCs which comprise much FF aerosol pollution which trees do intercept whether they like it or not. ” An average-sized tree can absorb 141 pounds of carbon dioxide per year. Climatehawk, the Republicans are wrong about most things 😉 Seriously though, God help us if we get a Republican in the White House in 2017. After President Cheney, I find it hard to be fearful anymore. Very true, Cheney was horrible. But you could be fearful of a repeat…many the neocons of W’s inner circle are now advisors on Jeb’s team. We’re still suffering from the eight years his brother (or Cheney) was in charge. – It may be a sign CAN MSM is taking things seriously. The EJ used a variety of reporters for this piece. Remember too that it is the editors that let the stuff see print. Scary as the prospect might be, I will never underestimate the stupidity of the American electorate to put another Republican in the White House, especially when I look at the current Congress. Still, I hold out hope that this doesn’t come to pass and I sure won’t be contributing to that end. So I’m looking at these polls and yes it seems that Trump’s buffoonery has the republican base mesmerized. However, I then see Clinton v Trump at +16 percent and Sanders v Trump at + 21 percent. Seems to me that this particular surge is an albatross the Republican Party can’t cast off. And I am particularly pleased how favorably Bernie plays in that mix. – CAN climatologist did mention hot E PAC “Pacific blob”. “Is it climate change? I don’t know. It may just be a fluke, it may just be something coincidental, it’s hard to say,” says David Phillips, senior climatologist with Environment Canada. He says although many people have associated the lack of rain in the region with El Niño — a climate event that happens when warm water in the Pacific Ocean interacts with the atmosphere — it may actually be connected to a mass of warm water in the Pacific Ocean that originated in the Gulf of Alaska and moved down the coast to British Columbia. It’s been dubbed the “Pacific blob”. The Lower Mainland and Lower Island (My turf for 13 years) just across the Strait Of Juan de Fuca from the Olympic Peninsula where rainforest are burning, is in extreme condition. Typical halfassed science communication. All weather events are taking place within a changing climate and cannot be somehow separated from that context. Have to say I agree with CH 1 on this point. The splitting hairs is a bit silly. Both the climate and the weather have changed and operate under new baseline conditions. “In B.C.’s Fraser Valley farmers are doubly fraught by hot, dry conditions, with crops that are ripening so fast they can’t be harvested and unirrigated fields burned brown by unrelenting sun. Farmers have left tonnes of perfect berries, corn, peas and beans in the field to rot because they are all ripening at the same time, according to Tom Baumann, an agriculture professor at the University of the Fraser Valley. Chilliwack farmer Ian Sparkes left 240,000 ears of ripe corn in the field after his staggered showings all ripened at the same time. ch1, I’m not sure what your comment, “Typical halfassed science communication. All weather events are taking place within a changing…” adds to the reportage of an unfolding crisis. I was referring to this comment: “‘Is it climate change? I don’t know. IT MAY JUST BE A FLUKE, IT MAY JUST BE COINCIDENTAL, it’s hard to say,’ says David Phillips, senior climatologist with Environment Canada.” [emphasis mine] At this point in the evolution of global climate change, all climatologists should give serious consideration to including the sentence I wrote: “All weather events are taking place within a changing climate and cannot be somehow separated from that context.” I see it is not as clear as it should be–my bad. How’s this? “All weather events are taking place within the context of human-caused global climate change and cannot be somehow separated from that context.” Is that more clear? If the people intimately connected with the science cannot do better than “maybe a fluke or coincidence,” it’s hard to see how we’re going to move the needle on hard policy choices. OK, but it is what was said after the “fluke” statement (just a lead in) that I pointing out. Following that was a strong statement about the “pacific blob” and its power and movement in the E PAC — and its connection with extreme regional weather events. I haven’t seen many MSM talk of this. I see what you are saying. Thanks for elaborating. I’m a retired communications pro, and often react to what I think is unfortunate phrasing on this issue. – Ps We here in the PNW, with the Pacific blob, the RRR, etc. are under an atmospheric magnifying glass We are going through very rapid and extreme climate and weather chaos. Events are outpacing language’s ability to keep up. I live here — and it’s frightening to witness. Efforts by management teams to cool flows below 70 degrees by releasing cold water from selected reservoirs are continuing in an attempt to prevent similar fish kills among chinook salmon and steelhead, which migrate later in the summer from the Pacific Ocean. BOISE, Idaho (AP) — More than a quarter million sockeye salmon returning from the ocean to spawn are either dead or dying in the Columbia River and its tributaries due to warming water temperatures. Federal and state fisheries biologists say the warm water is lethal for the cold-water species and is wiping out at least half of this year’s return of 500,000 fish. Good points, DT. It can certainly be hard to keep RE good communication. Also wanted to point out that the RRR is slowly getting squashed. Cooler water south of the Bering now. Starting to look like a stormy Fall is on the way. Shocking oil spill scenes from Siberia: but is there a way to a cleaner future? These disturbing pollution cases show the toll suffered by Siberia as one of the world’s foremost oil producing regions on which our nation’s health and economic well-being depends. Shot over a number of years, these haunting images show the damage to wildlife and nature from oil spills often resulting from the rupture of old pipelines. There are rivers and lakes of oil, frequently in some of the remotest and inaccessible places. Greenpeace Russia’s volunteers have worked to highlight the problem, and here the organisations offers its solutions to avoiding such scenes deadly scenes in future. We run this story after recent weeks have seen a serious oil spill – and one that seemed hard to halt, never mind clean up – in the energy city of Nefteyugansk. In this case, oil gushed into floodwater of the Ob River, the seventh largest in the world. It’s good to see environmentalism getting some legs in Russia. I hope it’s quick enough to help get them out of an impending oil crash. They need to diversify their economy and quick. Ice-Age 1: There’s a Mini-Ice Age Coming? Good Timing! The Daily Mail held out some bait on global-warming obfuscation, reporting that scientists warning of a mini-Ice Age. I want to explore this article in a number of ways, and I want to see if we can think about how to manage the influence of the article. Thanks for the excellent comments on the previous blog. 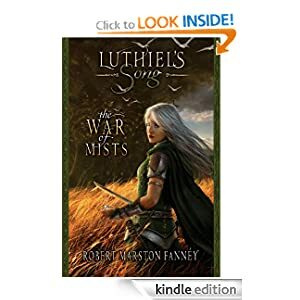 Here is the blog from Professor Mike Liemohn. Dr. Rood asked me, a space physicist in the same department at the University of Michigan as him, to comment on the recent media report like the one here of an impending Little Ice Age. While we are in solar maximum, when Sun’s magnetic activity is high and sunspots are seen across its surface, this particular solar maximum has been quite small. There are some solar physicists predicting that the next few solar maxima will also be small, with the Sun entering an extended interval of very low magnetic activity, called a Maunder State. We have only seen this once before, in the 1600s shortly after Galileo invented the telescope and people began keeping routine and reliable sunspot records. For nearly 70 years in the 1600s, the sunspot cycle was very small, often going months without any spots at all. These are excellent comments from Dr. Archer and well worth reading. The critiques provide avenues for further work. But the real upshot is that Dr. Archer sees the ice sheet melt, ocean stratification, bottom warming feedback as an identifiable mechanism for the exponential increase in glacial melts seen during Heinrich events in paleoclimate and as a potential for the same (or worse has Hansen implies) under human forced climates in the future. Archer’s view on this is not to be taken lightly and could have serious implications for modeling work on the issue going forward. In other words, it looks like we might get a few good dynamic ice sheet destabilization models after all, now that this physical mechanism is more well accepted. Agree those are interesting comments particularly on the temperature impact. As a Brit I was dismayed to see the regional changes in my area of the world and to think about the potential impact on winters, on floods, on harvests and on storms. I note the Eemian storms moved 6m diameter boulders weighing 2 300 tonnes. Another one of those papers that makes me apprehensive for this little island’s future. Good to see this issue getting coverage, TGI. Cowlitz County deputies arrested brothers Adrian and Nathan Taylor (23 and 21, respectively), and their friend 22-year-old Michael Estrada-Cardenas. The men were firing a 9mm pistol, a 12-gauge shotgun, and a .223 caliber A/R rifle at some 16-ounce propane bottles, officials said. The men told deputies that they “put out the flames and left,” but there were still some burning embers on the ground. New Orleans is dead city walking, people here either deny it or are ignorant about it IMHO. Like Bob says, hell is coming to breakfast. It will be a lot of work to save some of these coastal cities. May not be possible for some even with an all out effort. But we may as well try. Yes, a zombie city. Miami and the rest of South Florida, OTOH, are toast. It is utterly impossible to prevent SLR from fouling their water supply and then flooding them out even if they build levees, thanks to the porous limestone underneath.